A company whose marijuana pills are sold by Native Roots said the Denver-based dispensary chain ripped off the company’s branding when it introduced a competing line of products. Pueblo-based Stratos IP Inc, which does business as Stratos and produces four different pills containing THC, filed a lawsuit against Native Roots in Denver District Court last week, alleging unfair competition and common law trademark infringement. 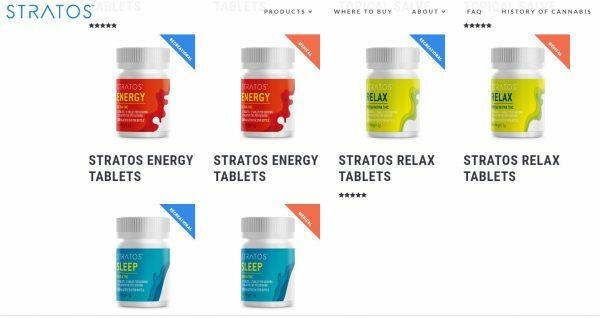 Stratos said in the lawsuit that Native Roots copied the names given to its four pills — “Relax,” “Energy,” “Sleep” and “CBD 1:1” — when Native Roots launched its “Opulse” product line, and also imitated the different colors used on its product’s labels (yellow for “Energy,” for example, and blue for “Sleep”). Other similarities, according to the lawsuit: Native Roots includes the same number of pills per bottle, made the pills appear “almost identical” and used the same numbering system on the bottles to indicate when the pills were produced. Native Roots did not respond to a request for comment. In its lawsuit, Stratos said it discovered the similarities when an employee went to a Native Roots store in Denver, asked for “more of those SLEEP tablets,” and was directed to the Native Roots version. Stratos said employees at two Native Roots stores have told customers that the ingredients in the Opulse line are the same as the Stratos line, which is not true. Stratos said its pills have been sold in approximately 673 dispensaries across Colorado since 2015, including approximately 30 Native Roots stores. Stratos is asking for an injunction prohibiting Native Roots “from using the Stratos Line naming conventions, branding, product packaging, and other trademarks,” as well as for an unspecified amount of damages. Attorneys Kelley Duke and Kobi Webb with Ireland Stapleton are representing Stratos.